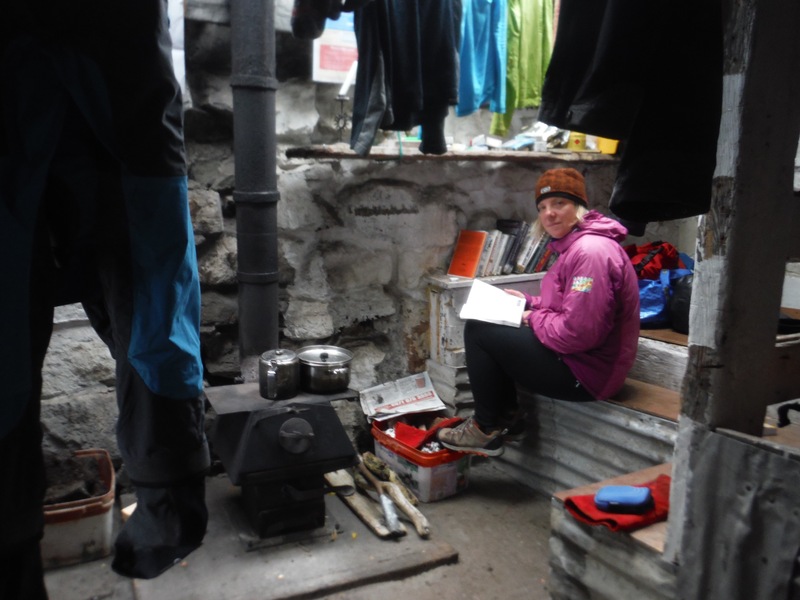 After arriving to Uisinish Bay we made ourselves home in the bothy there. 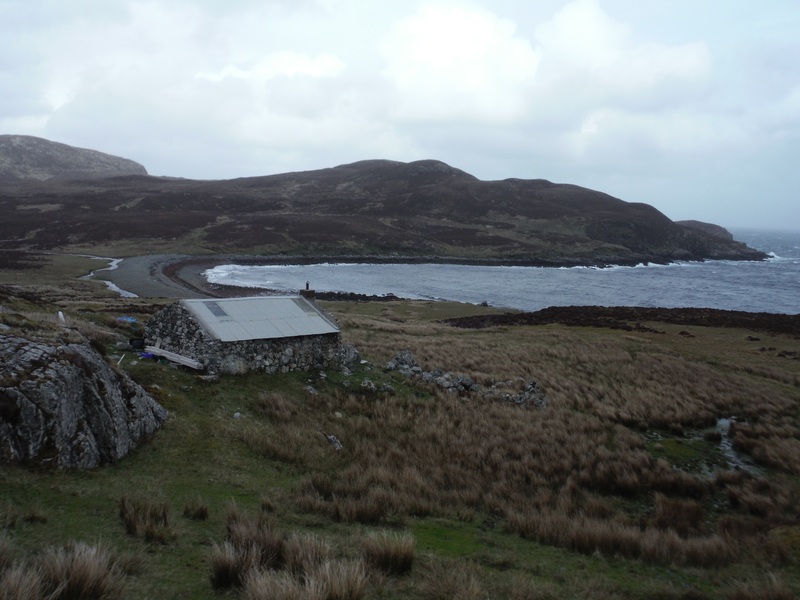 For those, who wonder what bothy is, it is an old house, which ceased to be used as somebody’s permanent home. This bothy like many others is maintained by MBA, who is doing great job at preserving old buildings, which would go derelict otherwise. Some bothys are better some are worst, this one was great, clean and tidy with stove and sleeping area. It also had a mouse trap and many warnings about a rat. Fortunately we were lucky and either the rat wasn’t at home or was extinguhed by the many traps that were previously set. Almost every entry in the bothy book had something to say about the rat but ours. And so we spent here happy three days and four nights waiting for good weather. 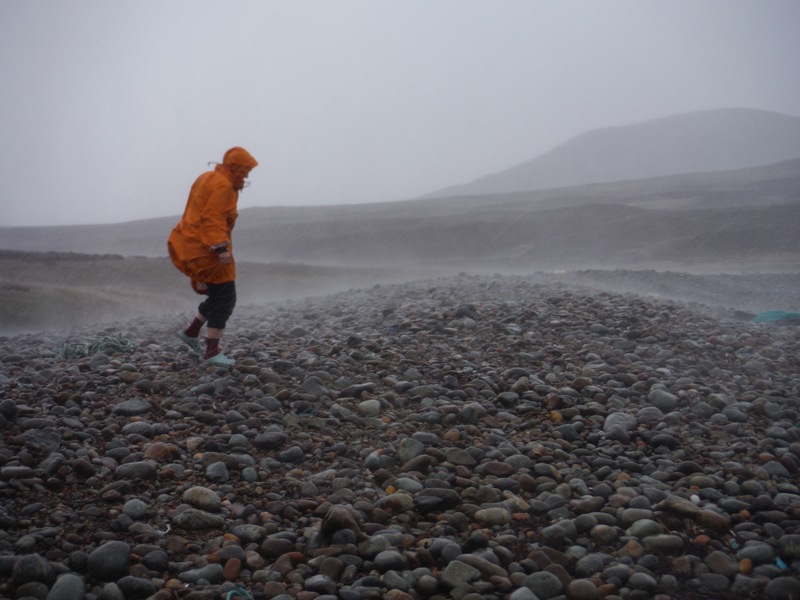 For company we had the rain and wind, some deers, an owl, a seal, random books and Radio 4. In one of the books there, we found the author, Gordon Stanson, visiting this place back in 1928. Apparently it was one of the last places, where people lived on this east side of South Uist. It was cute little house by the sea with a serious mountain scenery behid surouded by wildlife. 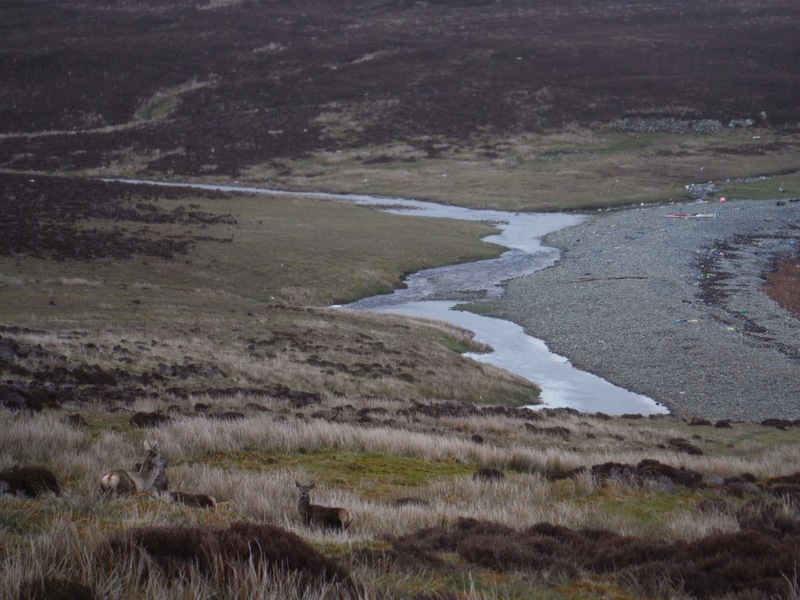 Yet, as soon as the weather improved we were eager to move on and leave the boggy land surrounding it to the deers and walkers.